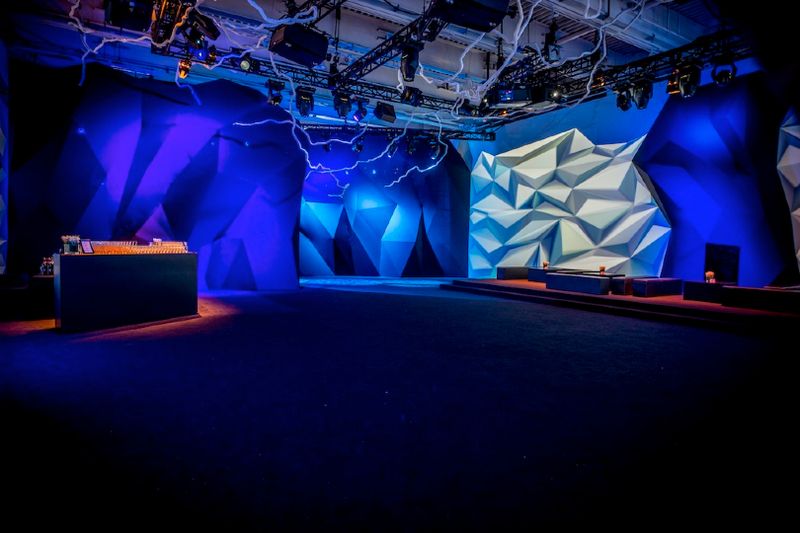 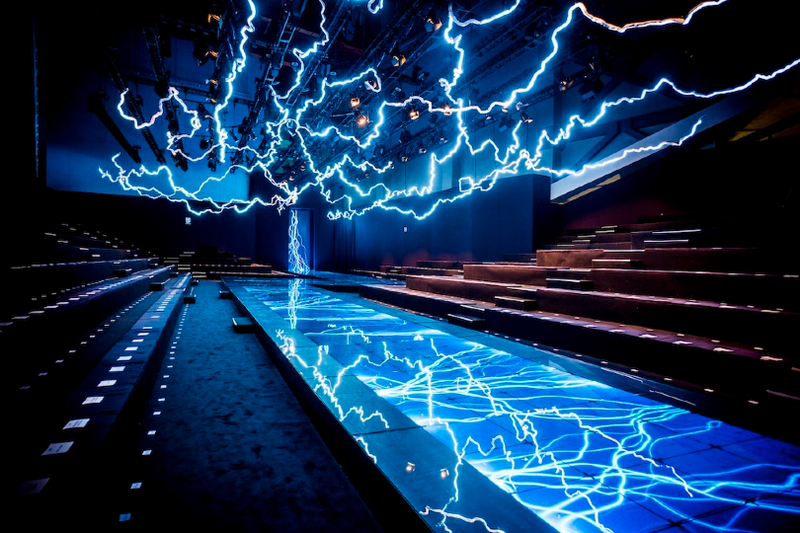 For the presentation of the HUGO BOSS autumn/ winter 2013/14 collection Visual Drugstore created the show concept and interior design. 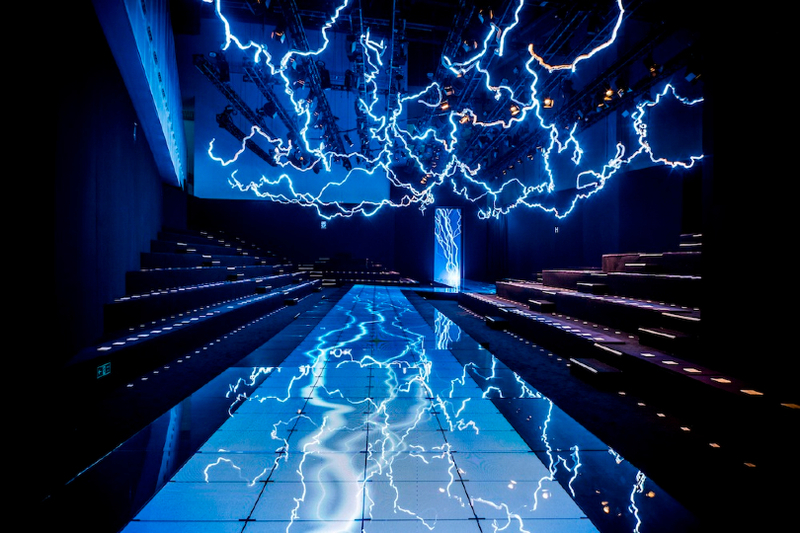 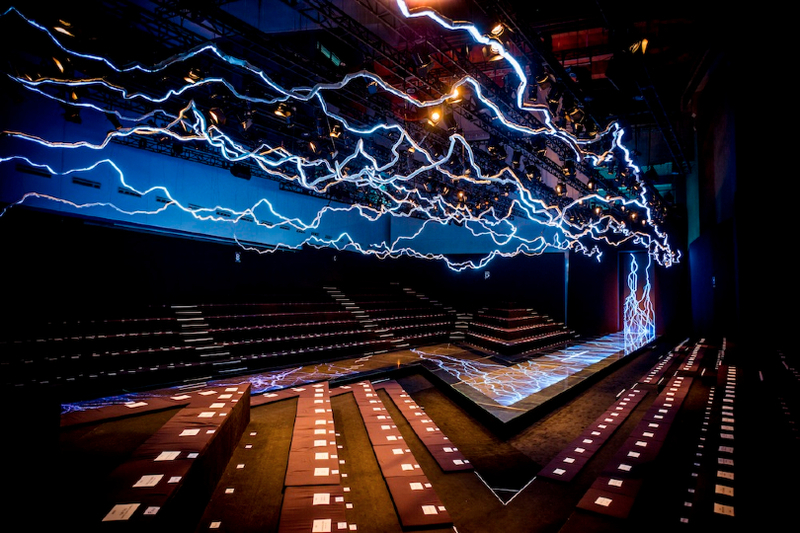 Held in Shanghai, the complete Powerstation of Art modern museum war transformed in lightning shaped room following the form of the catwalk. 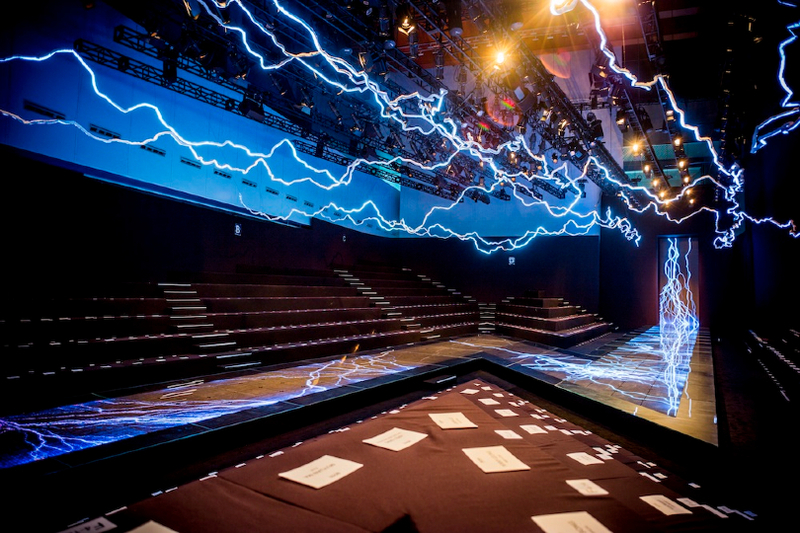 In interactive LED floor as well as a gigantic animated lightning gave a visual to the “strike me with lightning” theme of the show. 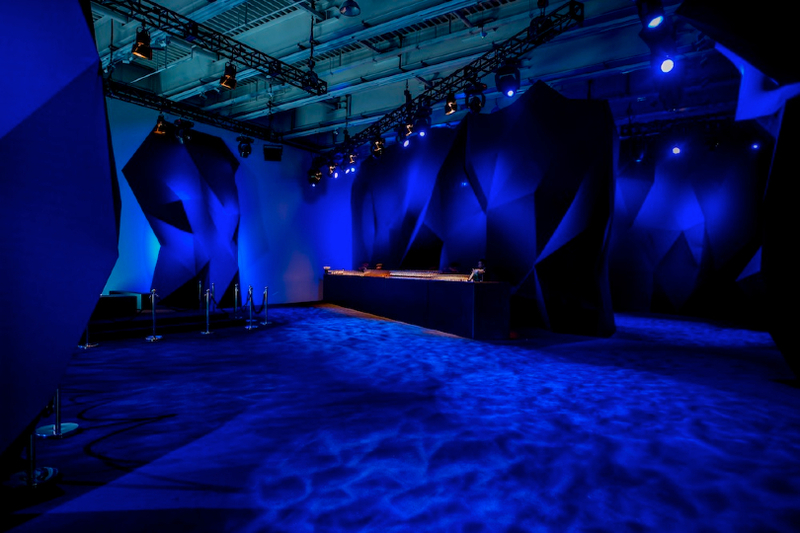 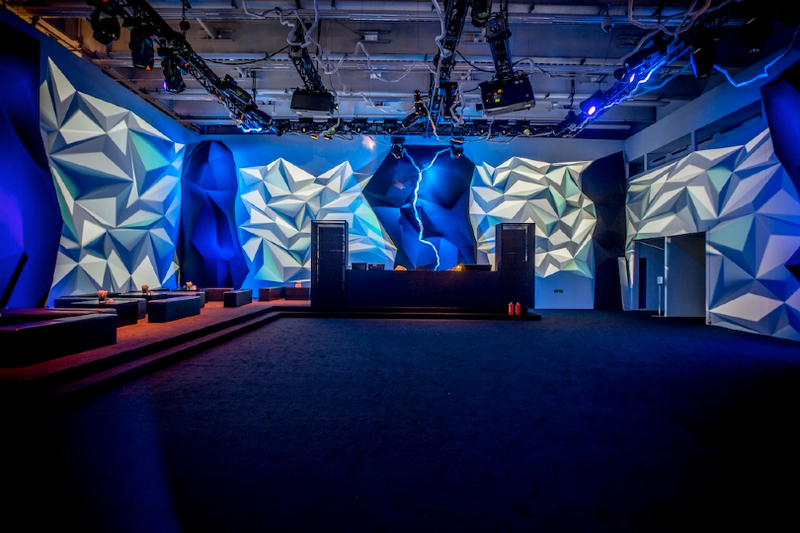 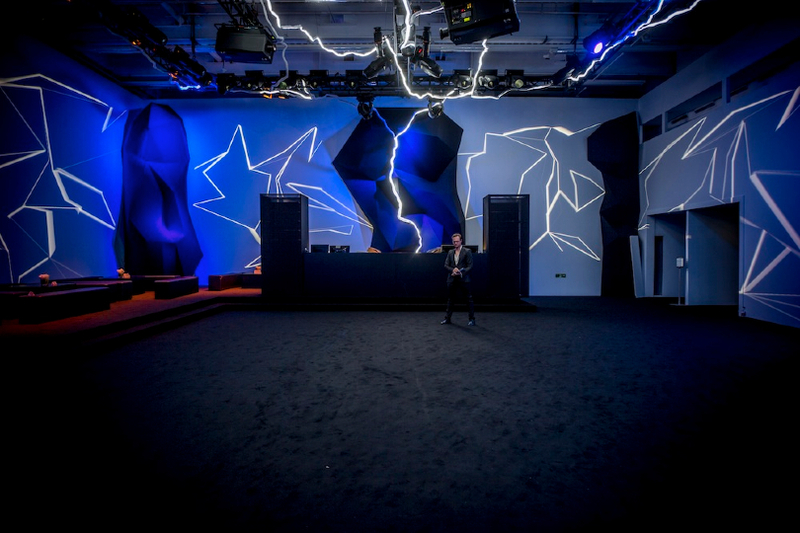 The venue also featured a temporary club with another lightning and structural and video mapping elements for the after show party.